Hair loss due to any circumstances can be very disappointing for a person while going in front of people. It is very embarrassing and awkward feeling for him. 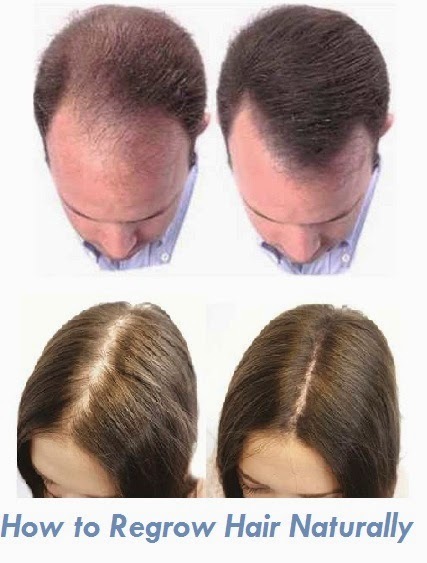 Hair loss is usually common in men and women so they seek medical treatments due to which they do not find quick and best result also it is an expensive treatment. There are some useful remedies to which you can use at your home by your own without spending huge money. The advantages of home remedies are that it will never show you any side effects. Onion proves to be very beneficial for hair regrowth. The sulfur contents are present in the onion that helps in the production of collagen in hair and it starts to grow. On the other hand, the garlic contains the similar properties as the onion. Take an onion and finely chop it. Squeeze out the onion juice. Apply the onion juice on all over your scalp for about 15 minutes. After that wash your hair. Likely, crush the garlic cloves. Now mix one tsp of coconut oil in the chopped garlic. Boil it for some time then stir with the gentle motion of your hands. Apply on your scalp after it becomes cool. Gradually massage your scalp properly. Repeat these remedies approximately three time a week. The coconut oil is very popular for making your hair regrow. The pure contents and properties of coconut oil help in promoting the hair growth. Coconut oil has fats, minerals and proteins that take part in the reduction of hair loss and hair damage. Iron and potassium are found in coconut oil that make the hair stronger. Take half piece of coconut and grate it completely. Squeeze out the milk comes out from the coconut. Now mix this milk with a little quantity of water. 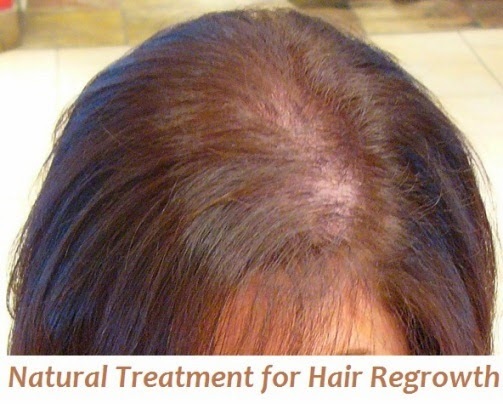 Apply on the areas where you see the baldness in your scalp and thinning of hair. Leave this solution for whole night then wash off in the morning with warm water. Repeat the procedure for several times a week. Hibiscus contains the revitalizing properties. Hibiscus has the dual action as it nourishes and prevents the premature graying hair and dandruff. Take some fresh hibiscus flowers, sesame or coconut oil. Mix them all together until it becomes like a smooth paste. Now apply to the scalp and hair too. Leave it for about three hours then rinse it off with cool water by using a mild shampoo. Amla has the outstanding source of vitamin C which tends to be good for hair growth and healthy hair as well. Amla has the pure antioxidant property. You can buy it from any herbal stores. Crush the amla and squeeze out whole of its juice. Add two tsp of fresh lime juice into it then mix well. Apply this mixture onto your scalp and leave it until it dries then wash with warm water. Follow the instructions for several weeks to get the better result. Eggs are very essential for hair regrowth because of having rich nutritional facts such as zinc, phosphorus, iodine, selenium, iron and sulfur contents. Eggs in such a way are found valuable among the hair loss problems. Take one egg and separate the egg white. Now mix it in the one tsp of extra virgin olive oil. Beat the mixture thoroughly until it changes into a paste like texture. Now apply onto your scalp and coat the hair as well. Rinse it and wash with a mild shampoo after 20 minutes. Lemon and castor oil combine together to make a tremendous solution for hair regrowth. It prevents from the hair loss. In a glass bottle, put 8 tbsp of castor oil and one tbsp. of lemon essential oil. While mixing, eventually shake or stir the solution. Apply this mixture on the scalp and massage for two minutes. Leave the mixture for at least 15 minutes. Use the cool water shampoo for washing your hair. Many medicinal companies use avocado for making the remedy for retreating the hairline and preventing hair from loss. Take a freshly peeled avocado and mix it with the 4 tbsp of coconut milk. Mix 2 tbsp of lime juice and use a blender for mixing it for 15 seconds. Apply the mixture on the scalp and massage gently. Leave it for 30 minutes then rinse it off. Use a mild type shampoo for washing the hair. Yeah even I have heard that banana and avocado also helps in growing hair naturally. Though my sister do all of this but someone recommender her revivogen hair too. Now we are searching if this has any side-effect or not.